Beneficiaries of the At-Your-Service-2 hospitality and catering training programme have shared their successes at a special celebration. Participants collected certificates to mark their achievements – and told an invited audience how the scheme had opened the door to improved career opportunities. Over the last 12 months the project has delivered paid work experience and essential skills for people from Conwy and Denbighshire who face significant barriers to work. All of those who have completed the project have found new jobs, with others continuing to build up their experience while they seek employment. Amongst those collecting awards was Adrian, who said the support offered by At-Your-Service-2 had given him fresh purpose. "It has made me more confident," he said. "Now I'm all prepared to get a job – I've got everything I need ready to go!" Emotional Ceri said the scheme had had a "massive impact" on her. "This has given me a huge amount of self-respect," she said. "And it’s a great example of how working as a team can help. "We each come from a different background, but I've realised that there are other people in the same boat as me – and this support has been so important." 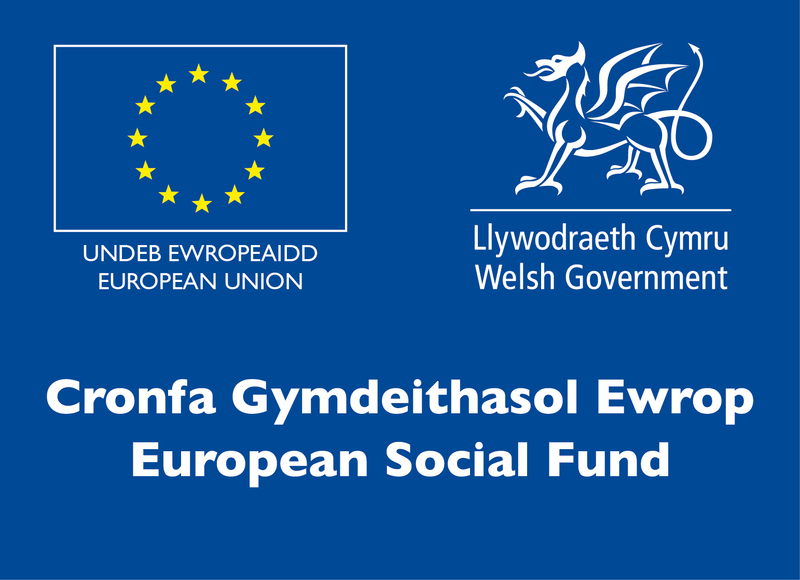 At-Your-Service-2 was supported by the European Social Fund through the Welsh Government, as part of the Active Inclusion Fund managed by WCVA. The programme is just one of a number of skills and employability schemes delivered by CAIS Social Enterprises. So far the award-winning social business has helped more than 60 people into work. CAIS chief executive Clive Wolfendale said he was pleased to be able to mark the successes of participants at the reception at Station Court in Colwyn Bay. "It was a great pleasure to welcome so many colleagues to Station Court for a small celebration of such huge achievements," he said. "We hope all these individuals get a promising fresh start in the world of work. "This effort is good for them, good for the community and good for Wales – and shows how the voluntary sector is fulfilling the mission to make Wales a healthier and more prosperous nation." 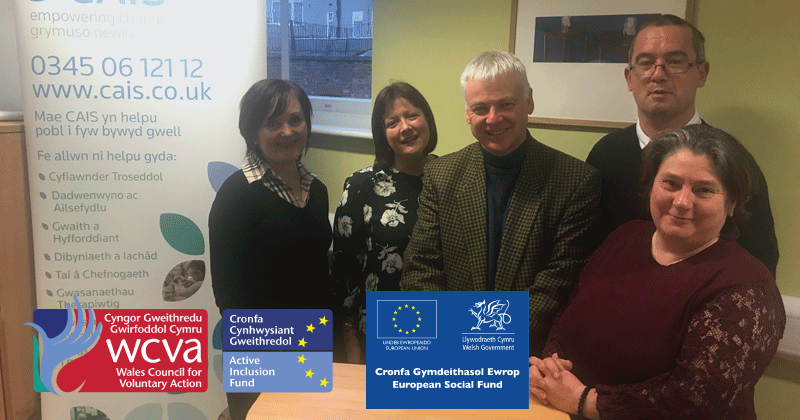 Attendees from partner agencies also heard about the other employment and employability schemes offered by CAIS – including the EU-funded Cyfle Cymru peer mentoring programme, volunteering opportunities, and self-employment and small business support. Certificates were presented by CAIS trustee Carys Roberts.